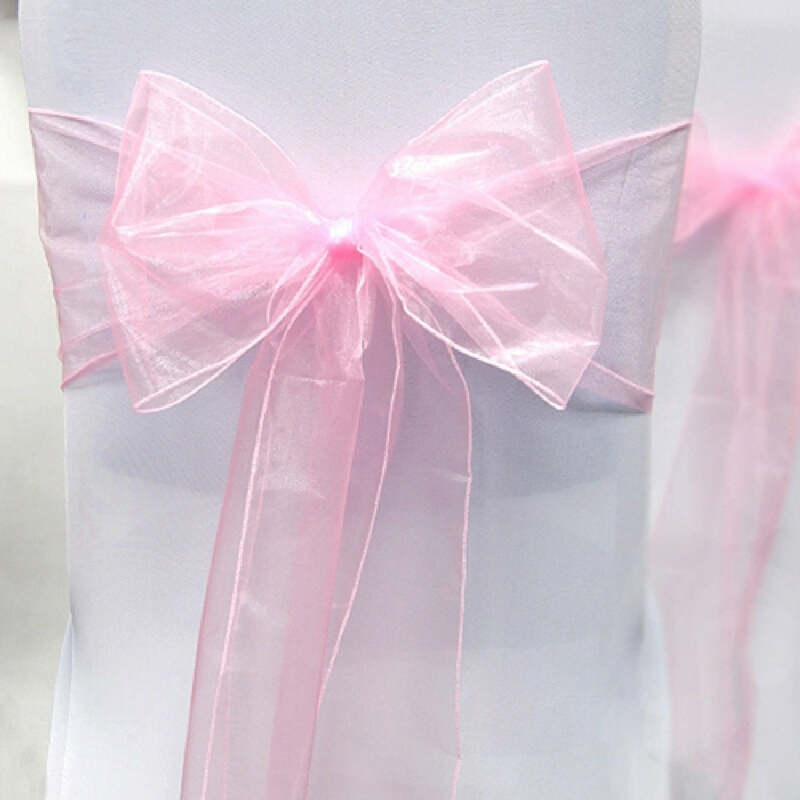 High quality and beautiful organza chair sashes are designed specially for your wedding, party, celebrations, anniversary and other special events. 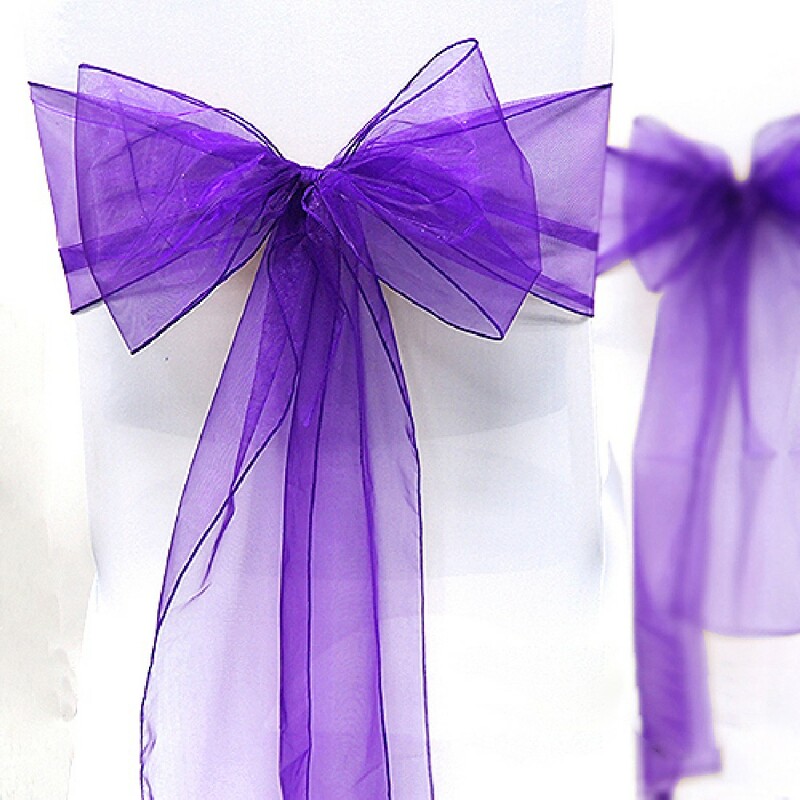 Our sashes are made of high quality shimmering organza and can be used as chair bows or table runners. 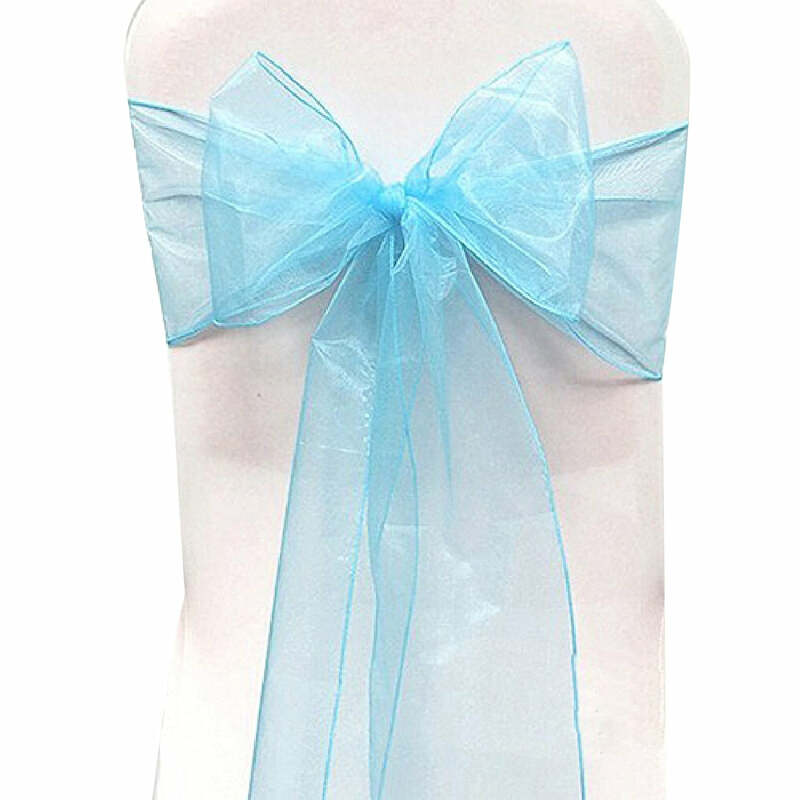 These sashes are stain resistant, washable and reusable. 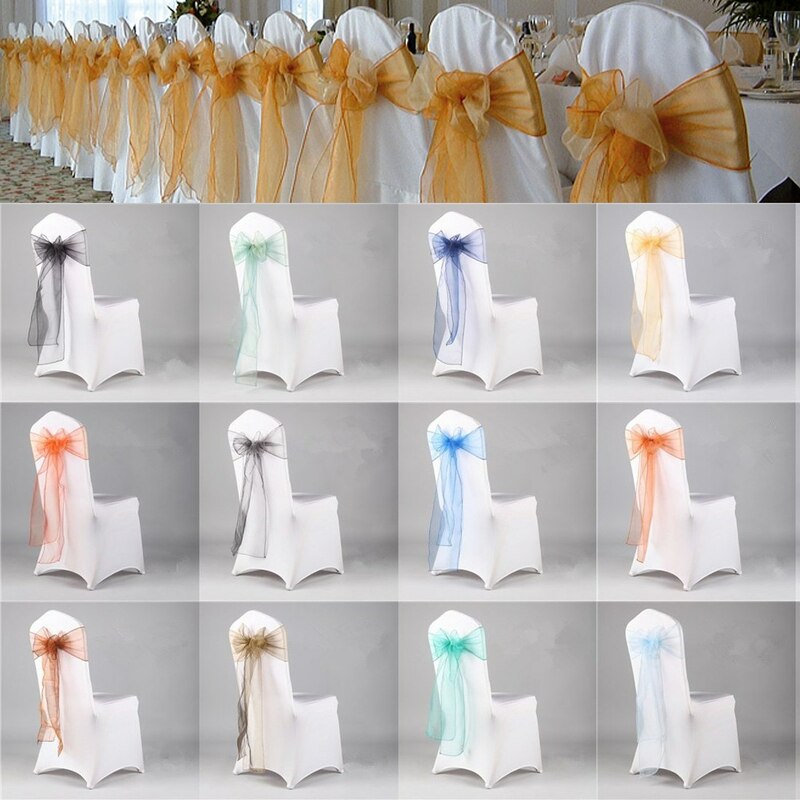 They are perfect for using them to decorate your chair on your events. We have various gorgeous colors available. Choose the color that you like. We believe that they will do make something different to the venue.